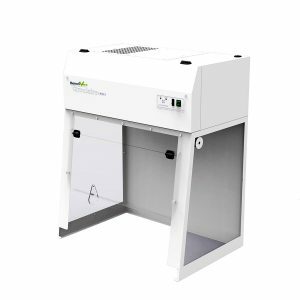 Our range of laboratory desktop fume cupboards and fume hoods work well in situations where full-size fume cupboard isn’t needed. 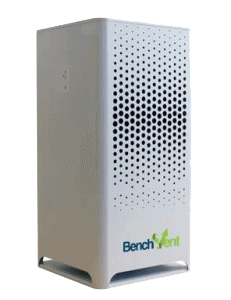 They are available in various sizes, and can be made with powder coated steel hoods or clear shields for maximum durability. As we manufacture them, we can also offer tailored sizes and finish if needed. 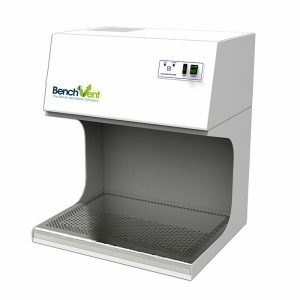 Since our laboratory fume cabinets provide turbulent-free airflow, it is possible for operators to get extremely accurate readings without compromising protection. 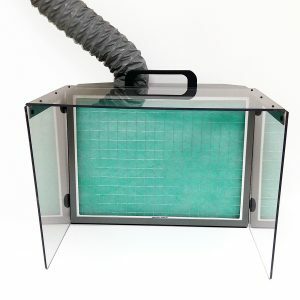 Our fume filtration systems filter fumes, vapour and particles coming from; monomers, adhesives, hazardous powders/particulates (when EPA or HEPA filters are used), resins, sealants, solder and organic solvents. 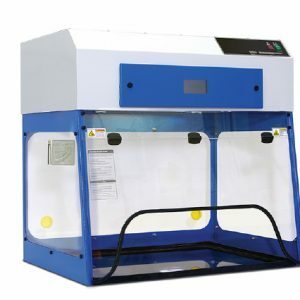 They are not suitable for use with high-toxicity chemicals or potentially dangerous substances. 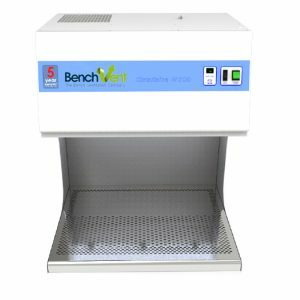 If you have any questions about desktop laboratory fume cupboards and filtration units please do not hesitate to contact us for no obligation advice on choosing the right product for you.